Silence and buzz are equally important on any of these campuses… how to safeguard them both is the challenge of many universities, for the well-being and mental health of students and staff and for the sense of belonging to an academic family. Next year, our new book will contain innovative solutions as well as classic examples. In December I will update the links to new publications and add the most recent presentations. In 2019 we will launch a knowledge platform for our international campus network of academics and professionals. We consider the Delft Blue porcelain house as a symbol of our (net)work, of which we are very proud! While the Dutch academic year is reaching its very busy end – with many exams and new courses to prepare – I look back on a few months with many interviews and papers published. I write this blog post from Bonn, near the university’s impressive Hauptgebäude (where I gave a lecture). Later this week, the (extended) Campus Research Team will present results of the most recent projects (3 papers) at the annual ERES conference (European Real Estate Society), at the University of Reading in the UK. After the conference I will upload (links to) new PUBLICATIONS – and interviews about PUBLIC REAL ESTATE. For now, a hand-out of my most recent presentation for Bonn Universität can be found under DOWNLOADS. Ten years ago today, our Architecture building went up in flames… still, many colleagues and alumni know exactly where they were when they heard the news. Nonetheless, the current generation of students – and many new colleagues since 2008 – have only heard the stories and are very happy (…) with our beloved and world-famous BK CITY. Where was I on May 13, 2008? That morning of the fire I was at work, at the 12th floor of the Architecture building… I was earlier than on a “normal” day and I was warned that the elevators did not work, due to a water problem on the 6th floor… When the fire alarm went off, I assumed the water problem had caused it and I left the building calmly, only with a student’s MSc thesis to read outside “while waiting until we could go back in”. I left my laptop at my workplace… We all gathered in the parking area – it took a while until we saw smoke. When someone said that the flames were already visible on the other side, we gradually started to realise that we might never get in again… Firemen had completely evacuated the building – no one was physically hurt, but many were traumatised by the loss of the building, their workplaces, their archives, their current projects and their second home. From that day I was member of the project team that had to find a “new” building for the faculty (about 3000 students and 800 employees in 2008). That was a fulltime job until we welcomed the new students in September 2008 and all employees in November 2008, in a refurbished heritage building that we called “BK city” (@ Julianalaan 134 in Delft). Since then I have given many presentations about the fire and what happened afterwards – together with other team members – often with facility manager Dennis Cruyen – see DOWNLOADS. All publications about “The Making of BK city after the fire” were summarised in a previous blog post and can be found under PUBLICATIONS. At BK city’s library (Julianalaan 134, 1st floor) a small exhibition memorises the fire of May 13, 2008 – 10 years later. In the next months, we will gather facts and figures about the current use of BK city, to publish an article about “10 years BK city”. Until then, my most recent publication with “Lessons from BK City – after the fire – for university buildings of the future” can be found as a chapter in a book “Dreams and seeds: the role of campuses in sustainable urban development”. 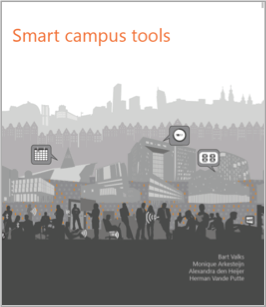 Exciting news – this month we published the second book on Smart campus tools! 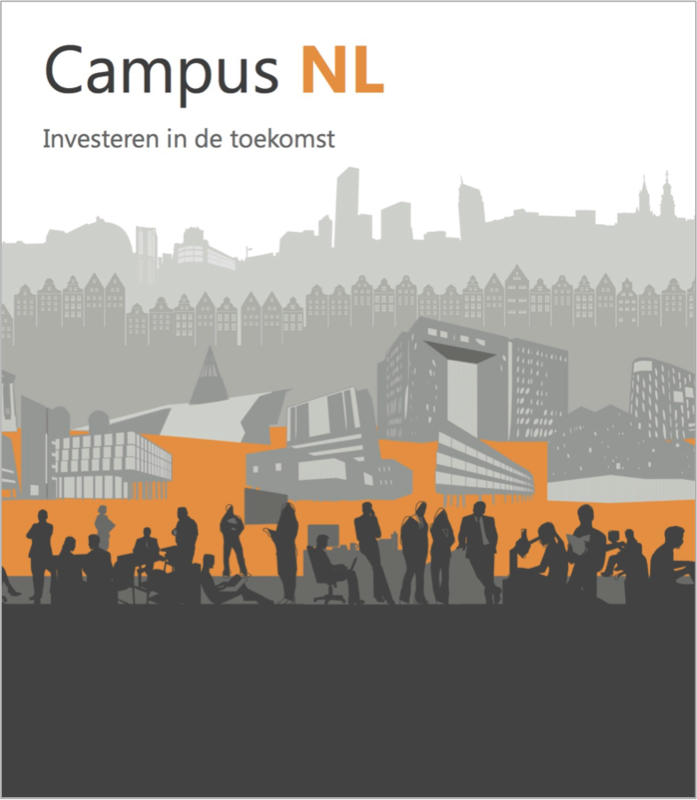 We are very proud of the result, and that thanks to the support of the Dutch universities we were able to explore the application of smart campus tools at numerous universities and other organisations. 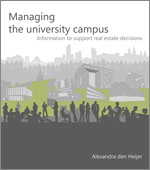 We marked this moment by organising a book launch and seminar for a group of 30 campus experts in IT, FM and corporate real estate of the Dutch universities in Utrecht on Wednesday April 11th, 2018. We presented our book Smart campus tools and discussed a number of topics with the attendees (see photos below). Since the content book is part of Bart Valks PhD research project – see page SMART CAMPUS TOOLS – he was asked (by many) to sign the book at the book launch! 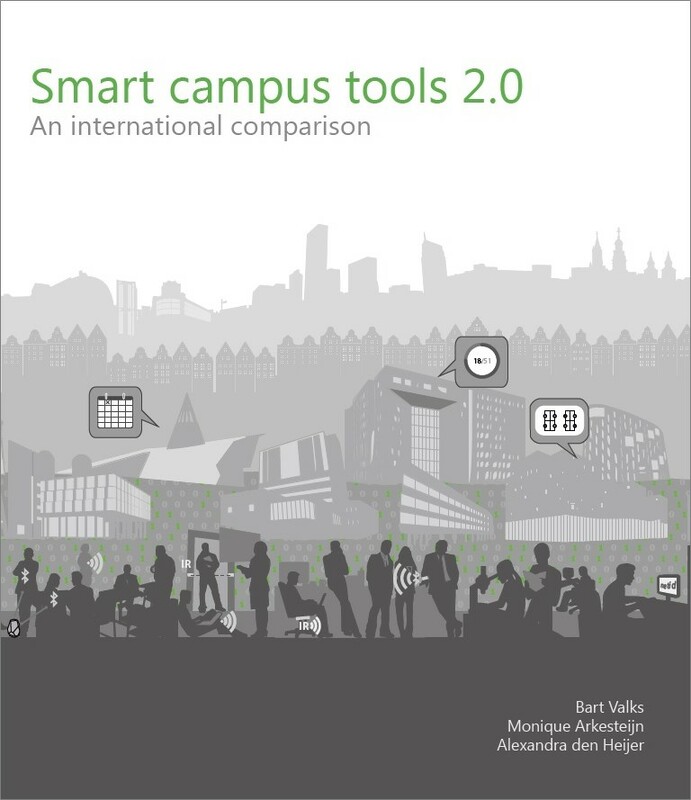 The book ‘Smart campus tools 2.0 – an international comparison’ can be ordered (via b.valks@tudelft.nl) at 40 euros per copy. 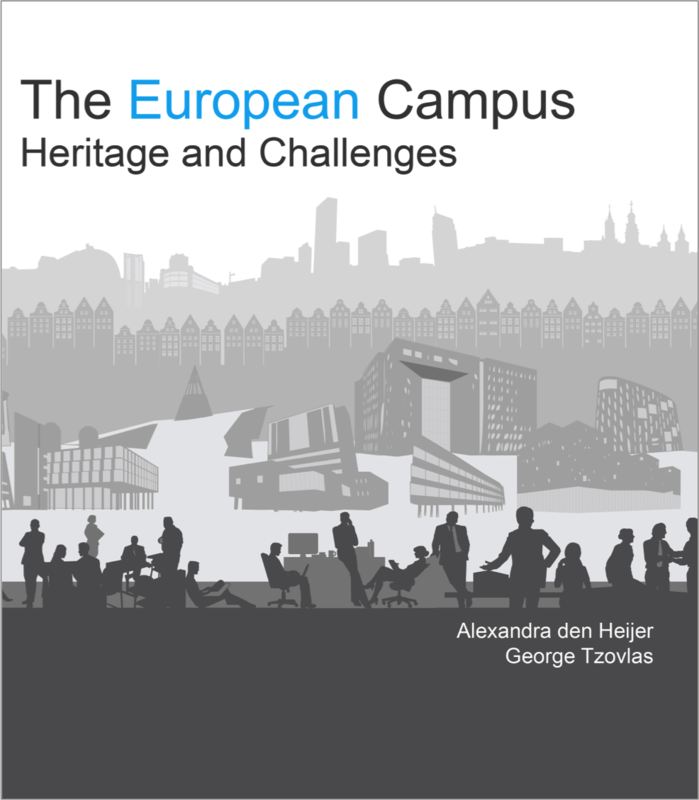 The book can also be accessed online via [link will follow through repository TU Delft]. In addition, a paper on the first phase of the Smart Campus Tools research project will be published in the next issue of the Journal of Corporate Real Estate (JCRE). In the meantime, the text can be accessed via https://doi.org/10.1108/JCRE-03-2017-0006. I am proud and happy to announce that I am appointed as professor of Public Real Estate at TU Delft, Faculty of Architecture and the Built Environment, Department MBE. My legacy and knowledge about university campuses are the foundation by which the expansion of the research field will be grounded, applying her knowledge to other owners of the built environment. I have made it my challenge to serve as a connector and interpreter in management and design processes. The Chair of Public Real Estate focuses on the challenges of managing public real estate portfolios by building theory on improving decision-making processes and finding new concepts for the built environment. University campuses, hospitals, schools, and city halls are just some examples of built environments that support public goals and have a large impact on society. Managing these buildings – often heritage on iconic locations – is never the primary task of the institutions that use them. However, they need to set an example to society and have a responsibility to implement public policies, resulting in meaningful, functional, affordable, and sustainable built environments. The chair Public Real Estate supports owners of the built environment in achieving public goals. The research field connects both theories and practical references from other scientific disciplines in the built environment ranging from design, technological innovation and transformation of heritage buildings to interior architecture and urban development. Soon the page PUBLIC REAL ESTATE will contain more background information about the Public Real Estate Management legacy of the MBE department, including a link to the book “Public Real Estate” (Evers et al. ), the dissertations “Public Real Estate Management: challenges for governments” (Pity van der Schaaf, 2002) and “Building for a better hospital: value-adding management & design of healthcare real estate” (Van der Zwart, 2014) and research publications about schools, museums and other public buildings. Last week I gave four lectures – in Breda (NHTV), Amsterdam (AMC) and Liverpool (AUDE) – in which I presented my “solid, liquid & gas” metaphor for both the university and the campus. I started to refer to these physical states during our Campus NL research, in 2016. In a recent interview, published in “Portraits of Science” early January, I explain more about this metaphor, see online link and photo below for PDF publication. Pages above from TU Delft’s 2018 “Portraits of Science” – published at TU Delft’s 176th Dies Natalis in January 2018 – see PDF or link to intro for short or long interview. Hand-outs of presentations in Breda and Liverpool can be found under DOWNLOADS. An earlier post about the Solid-Liquid-Gas metaphor can be found by clicking this link or even a 2013 post called “No clicks without bricks”. Our Campus Research Team will publish practical guidelines to translate the metaphor to a campus brief in 2018. To be continued! 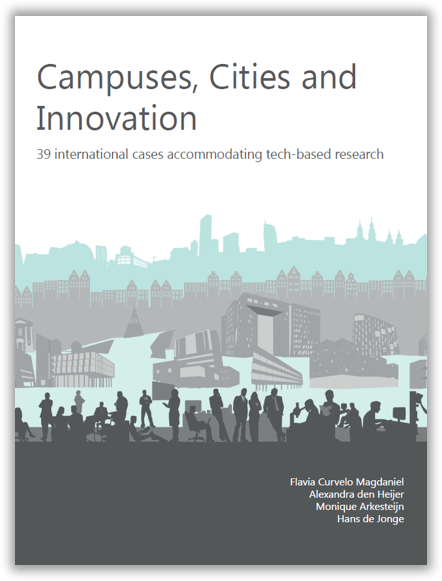 We are halfway with part 2 of our “Smart campus tools” research, exploring 3 different paths: (1) smart tools abroad, (2) smart tools at other organisations and (3) smart tools re-assessed at Dutch universities, which were cases in part 1. The past few months more than 25 universities have been approached. Many universities have responded positively and agreed to an interview, including ETH Zurich, KU Louvain and Glasgow University. Also visits were made to Aarhus, Cambridge and Oxford. Many universities are moving forward in their use of smart tools. Parallel to the universities abroad a number of companies have been interviewed. Cases of smart tools at Microsoft, the Dutch government, Ericsson, and ABN Amro are documented. We hope to include a few more cases of organisations in the transport sector. On Wednesday November 15th we (Bart, Monique & Alexandra = the Smart Campus Tools research team) hosted a meeting for practitioners from the Dutch universities together with our colleagues from TU Delft’s department of Facilities Management and Real Estate. Special location was TU Delft’s Teaching Lab (see photos). Each university prepared their data prior to the meeting and gave a short pitch during the meeting about their use of smart tools. Some universities have steadily moved forward with existing solutions, whilst others are busy with pilot projects. The meeting definitely raised some interesting topics for discussion, which we hope to address in our report. To be continued!